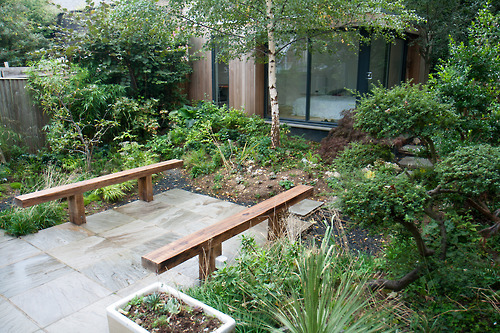 This is a lovely little Landscaping job in Peckham Rye, London. An impressive amount was done with the space. 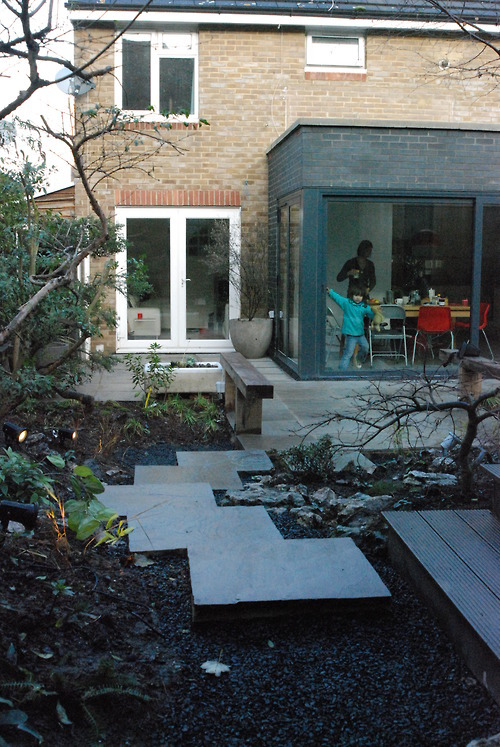 The outhouse works well as an office and to get there it’s a joy over the patio and up the Sandstone steps. The Oak sleepers are built low to the ground to add to the Japanese feel. Hats off to ‘Propagating Dan’ for the planting.